Currently Dr. Rosentrater’s research focuses on utilization of biofuel co-products, development of foods and feeds, value-added products and processes, grain storage, handling, and processing, sustainability of bio-renewable resources, improvements in processing efficiencies, techno-economic modeling, and life cycle assessment. 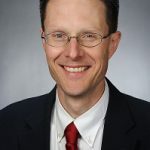 His expertise is value-added product development, alternative recycling and reprocessing strategies, modeling and simulation of processing systems, plant layout and process design. Prior to his work at Iowa State, he was a lead Scientist with the United States Department of Agriculture- Agricultural Research Service. Previously, he was an assistant professor at Northern Illinois University in the Department of Engineering and Industrial Technology. Before this, he worked for a design-build firm and was responsible for process and equipment design, and plant layout for agri-industrial processing and store facilities.